2Awesome Studio and Awfully Nice Studios have announced that The Bug Butcher will release on Nintendo Switch next week. Set in a future where mankind and aliens do their best to co-exist, you play as Harry (The Bug Butcher), a brash and tenacious exterminator who has built a reputation for being the best in the business at decimating bugs. 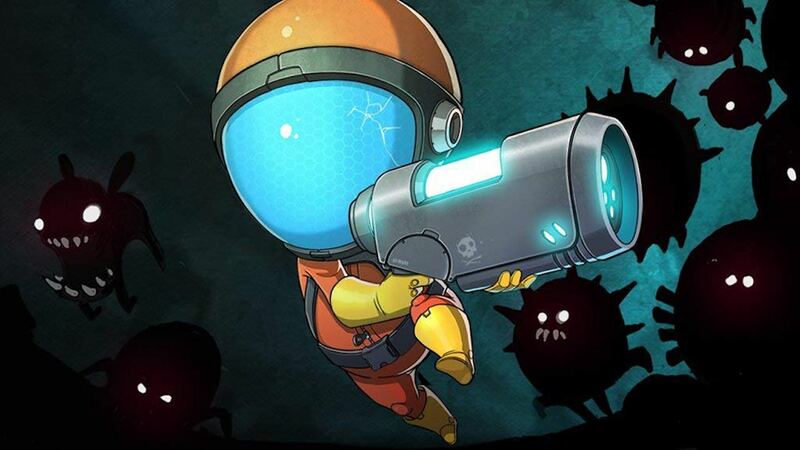 In this action-packed 2D side-scrolling shoot ’em up, you must hoard coins like your life depends on it and protect the scientists at all costs – moving room-to-room through the facility to slaughter anything that isn’t human. The Bug Butcher will release on the Nintendo eShop for Nintendo Switch worldwide on November 8th.